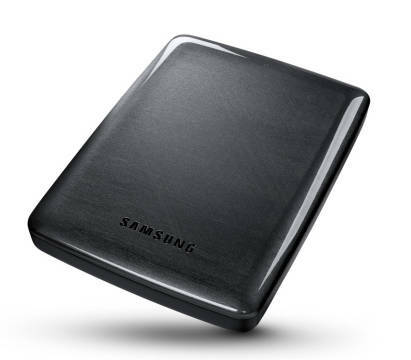 Seagate’s Samsung unit has spun out the lightest, thinnest, 4TB USB-powered 2.5-inch drive in the world, with its M3 and P3 portable products. The case is 0.78 inches thin and weighs 8.3 ounces. 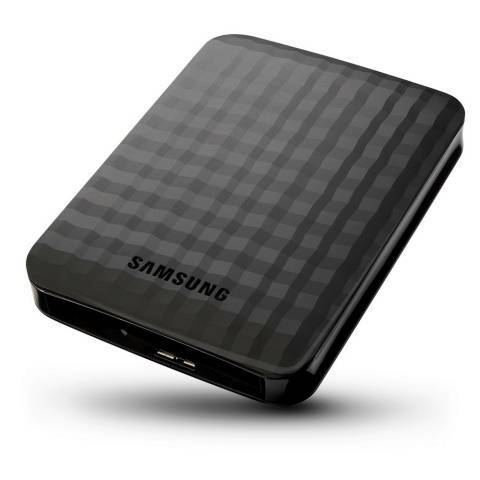 It is 1/10 of an inch thicker than Samsung’s 2TB drive. Inside is a Spinpoint M10P drive with 800GB/platter – impressive areal density – and therefore 5 platters for the 4TB model. Other capacity points are 500GB, 1TB and 2TB. In a metric sense the 4TB P3 case is 82mm wide x 118.2mm long x 19.85mm deep at its maximum. The 500GB, 1TB and TB case dimensions are 82mm wide x 111mm long x 14.8mm high, 5.05mm less than the 4TB model, suggesting that you get an extra couple of platters at the 4TB point. The M3 has similar thickness differences, 4TB models being 19.85mm high and the others 17.5mm high, 2.35mm less. The prior Spinpoint MT9 held up to 2TB and used three 667GB platters. These M3 and P3 drives draw power through their USB 3.0 connection, which has a maximum 4.8Gbit/s bandwidth. The M3 and P3 versions of the drive have different case styling, with the P3 described as thin and graceful with its smart grey colour, and the M3 as having a durable black design that stands up to the rigours of everyday use. Samsung isn’t saying, but we reckon the drives spin at 5,400rpm. Competitor HGST’s G Drive portables go up to 2TB capacity. WD’s My Passport Ultra goes up to 3TB, as do Toshiba’s Canvio drives. These drives will be great for storage capacity-strapped notebook users.